Monday is Cinco de Mayo, so get out your maracas and margaritas to celebrate this weekend! The Mexican holiday recognizes when the Mexican Army defeated the French in the Battle of Puebla on May 5, 1862 — a major win considering Mexico was the underdog, outnumbered 6,040 to 4,500 against France (who hadn’t lost in 50 years). If you’re looking for a way to celebrate Mexican culture this weekend, it doesn’t matter what your relationship status is on the holiday. Have a fiesta-filled evening with our tips for celebrating Cinco de Mayo with friends, lovers, and family. Have a romantic night in and cook up some delicious Mexican dishes, complete with homemade margaritas. You won’t have to fight the crowds, and you could even entertain yourselves with other people’s relationship drama by watching some telenovelas! Go stag, or grab your best wing-lady and get yourself to the most popular local taco spot. Sit at the bar for maximum mingling while you enjoy margaritas, chips, and salsa. 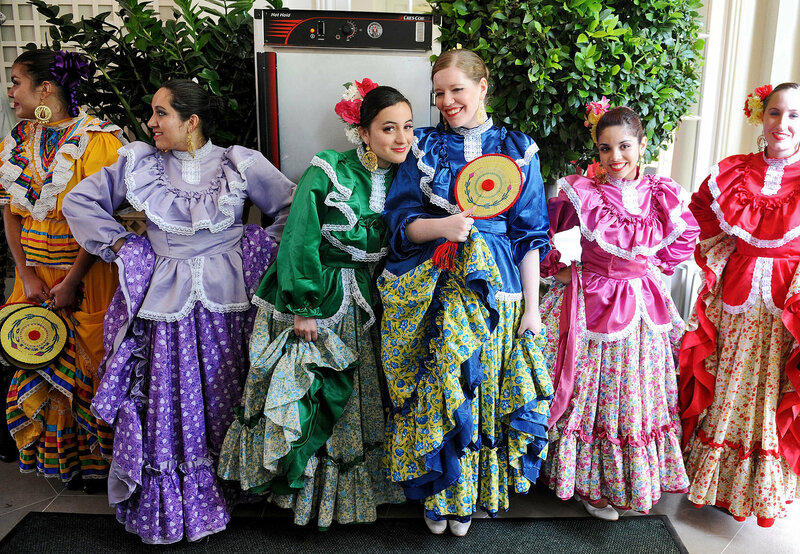 Bonus points if there’s a mariachi band and traditional folk dancing! If you’re looking to spend some quality time with your gal pals, you don’t want to be shouting at each other in a packed Mexican restaurant. Instead, get the gang together and check out a local Cinco de Mayo parade. Don’t forget your flags! Desperately need to get out of the house and just do something? Don your most dramatic, sparkly dress, and hit the Latin dance floor with your hubby! Research restaurants and bars that have free salsa or tango lessons ahead of time, and unleash your inner dancing queen. Have a party at your house so you’re surrounded by supportive friends and — if the alcohol induces an emotional breakdown — you don’t have to take a late-night cab alone. For added fun, tape a pic of your ex on a piñata, and do some therapeutic bashing. And you never know if your friends will bring along some single cuties to help cure you from your breakup blues.